Tucked along five miles of Lake Michigan shoreline, Bay Harbor is a prime destination for vacationers and residents alike. With stunning views, world-class amenities, unrivaled recreational opportunities and a calendar full of seasonal events, its the perfect place to mix business with pleasure, connect with friends and family or simply unplug and enjoy some downtime. We invite all to come explore and enjoy anytime of the year to browse our specialty shops, savor a delicious meal, attend one of our annual events and enjoy lovely accommodations at our boutique hotel or charming vacation homes. Sail your vessel into the Bay Harbor Lake Marina. Relax and enjoy a round of award-winning golf at the Bay Harbor Golf Club while soaking in the amazing sunsets on Lake Michigan. Bay Harbor has so much to offer, you may find it hard to leave. The good news is, you don’t have to. 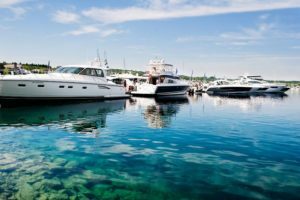 You will find a variety of opportunities for living year-round or seasonally, from luxury homes to building sites to condos and yacht docks. 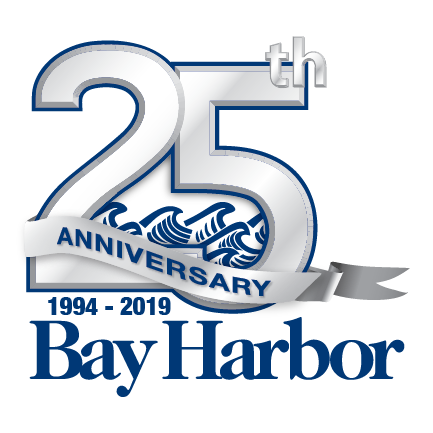 Come to Bay Harbor and discover what makes it unlike any other place in the world.